Kit Flynn, is a Certified Personal Trainer. She specializes in people 50 plus. She also specializes and with those who have never exercised before or who are returning to an active lifestyle sometimes after many, many years. 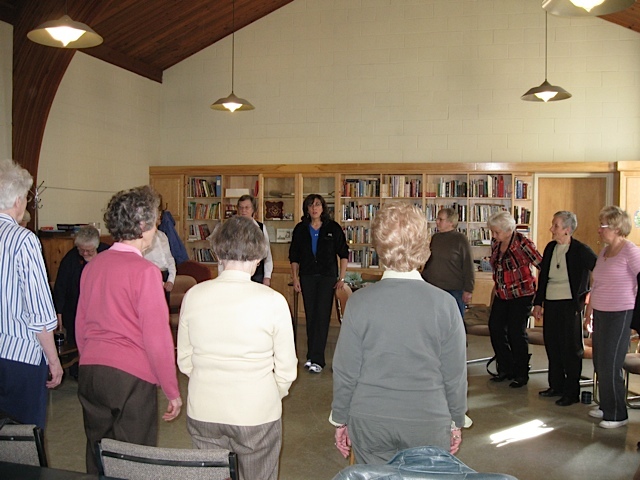 As we all age, strength, flexibility, balance and energy levels may decrease. Added complications such as increased body weight and heart problems may occur. Given all of this, a positive outlook might be difficult when trying to change past life habits on your own. 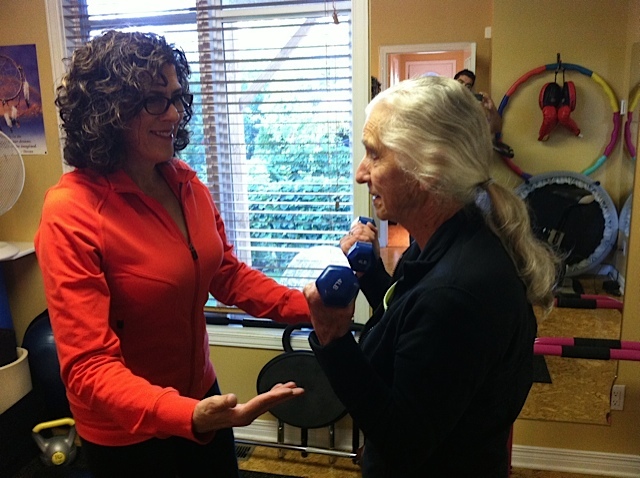 Working with Kit in her studio in Westboro, will lead you towards a healthier body, mind and spirit and will supply you with energy and strength to enjoy all your activities of daily living. 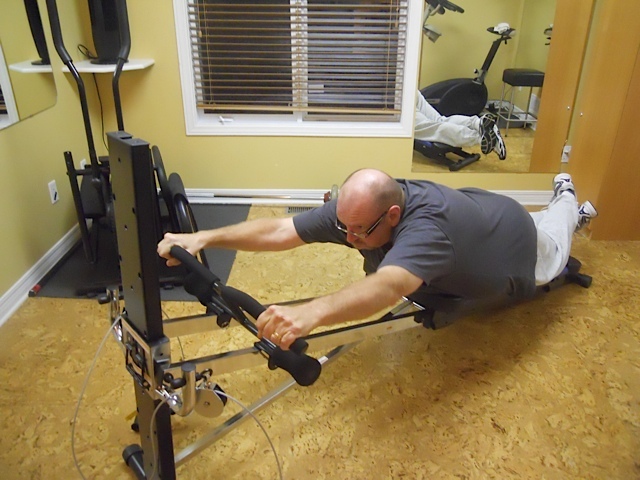 The Globe and Mail: Yo-yo dieter stops the cycle from Feb 21, 2013. 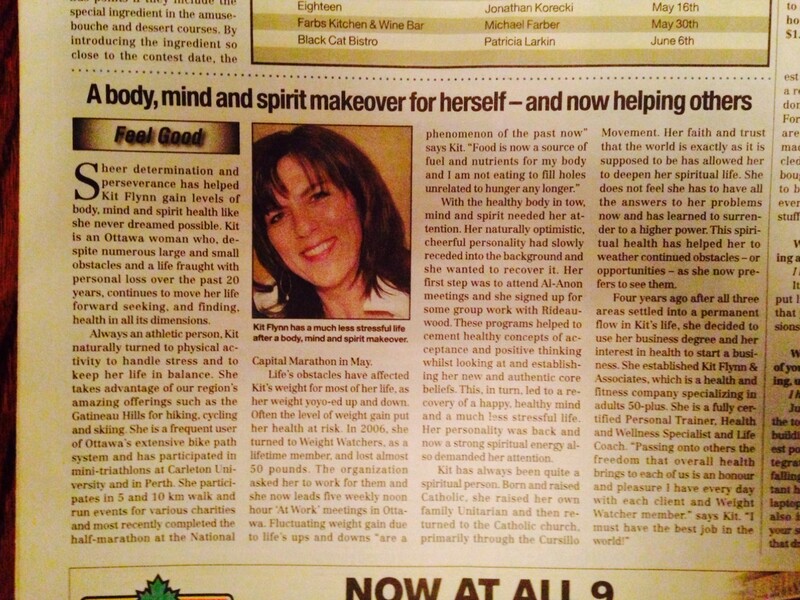 Ottawa Citizen’s The Wrap: A body, mind and spirit makeover for herself – and now helping others from January 5, 2011. CTV OTTAWA featured Kit and her client in “Senior of the Week” June 12, 2009. Are you ready to become healthier? Call now – we’ll do it together! Live a longer, healthier life. If you are ready to work towards that, let Kit help you and let her expert guidance support your transformation. Stories about others who want to share their own experiences working with Kit, can be found In testimonials. all of which have the marvellous benefit of feeling happier about yourself! Al-Anon… For information ask me, or call (613) 860-3431or visit the Ottawa website at www.al-anon-ottawa.ca. The Shepherds of Good Hope Soup Kitchen Volunteer for 16 years. For more information, go to www.shepherdsofgoodhope.com. 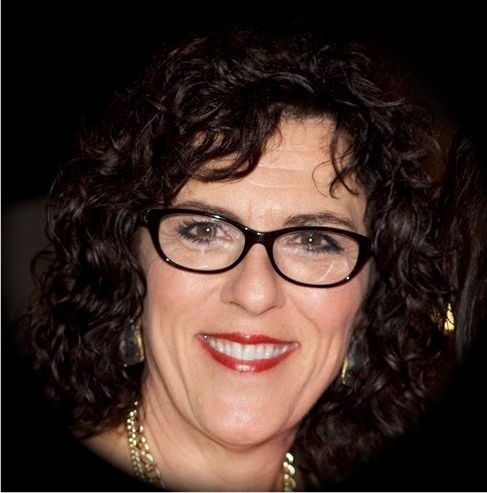 Women for Mental Health member (associated with the The Royal Ottawa Mental Health Centre). For more information, go to www.theroyal.ca/foundation/our-initiatives/women-for-mental-health. Canadian Authors Association member and facilitator of the Centrepointe Writers Circle. For more information, go to www.canauthors-ottawa.org. Weight Watchers of Eastern Ontario ‘At Work’ Leader for 5 years.